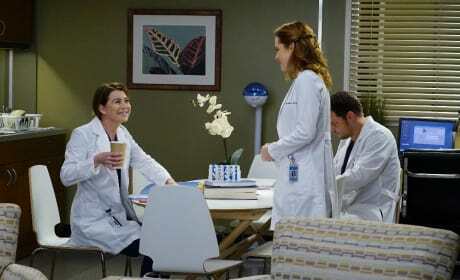 Meredith and April attempt to play nice on Meredith's first day back at the job. 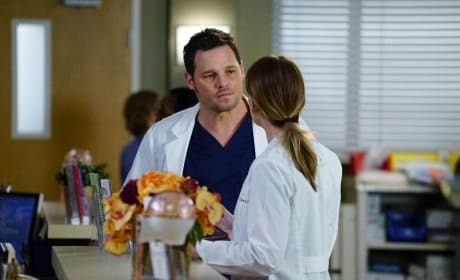 Alex wants Meredith to choose between him and Nathan regarding a case. 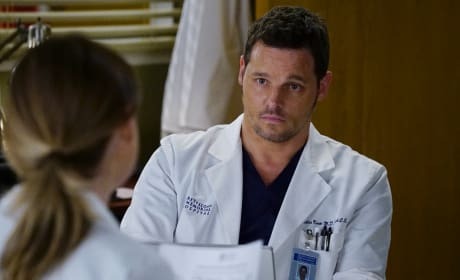 Alex seeks Meredith's opinion on a case that he is sharing with Riggs. 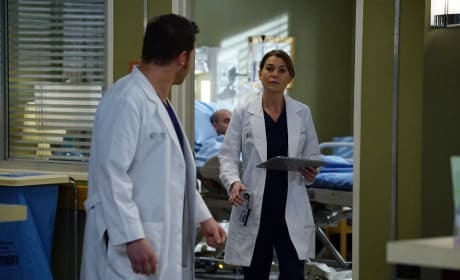 Meredith is so done with the bickering boys and the demands to choose sides. After working on his patient, it's clear that he has his work cut out for him. 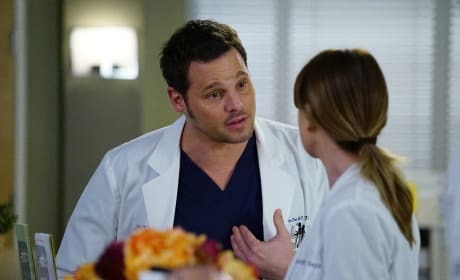 Will the current hospital politics and tension between colleagues, interfere with him being able to effectively work on his patient? 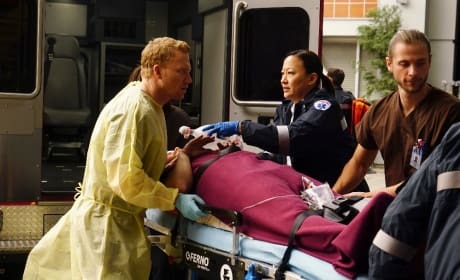 Owen gets the rundown on his latest patient, from the paramedics bring her to the hospital. 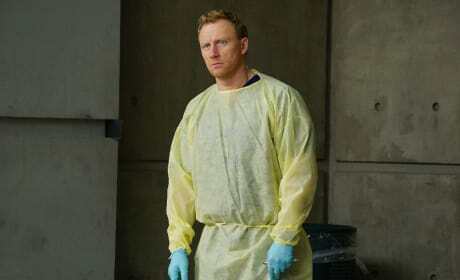 Owen is the King of the E.R. He's going to have quite the harrowing trauma case on his hands. Peak professionalism is being able to force yourself to smile politely when you're feeling anything but polite. Look at Meredith with that Wednesday Addams smile. 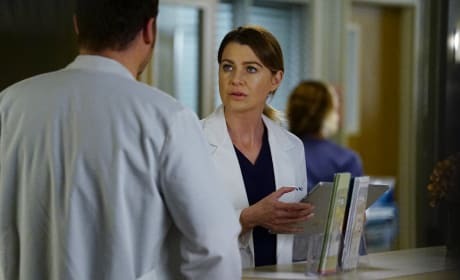 Even though Meredith is back, April is still catching flack for taking Meredith's position. 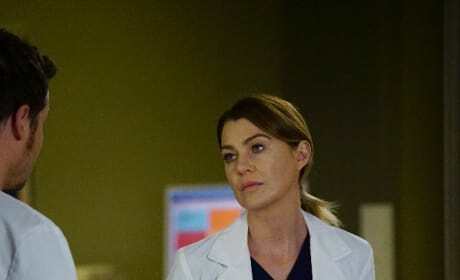 She and Meredith may be attempting to be professional, but no love is lost between the two.